In our last community energy blog we asked “Can Victoria become the community powered state?” With the Victorian Parliament’s Community Energy Inquiry underway, we’re now taking a look at the other ways the Victorian government is engaging with community energy. Under the Baillieu government, Victoria had the world’s strongest wind planning laws, effectively removing 97% of the state from benefiting from wind development. The Daniel Andrews government went to the 2014 state election with a promise to redesign the laws to better enable communities to have the power to choose if they want wind development in their local area. While this was a positive first step, it is yet to be translated into action. These three issues are current major barriers for community wind projects that are yet to get underway. The Daniel Andrews government can show its commitment to community energy by addressing these barriers as it meets the Victorian Renewable Energy Target. The discussion paper is now taking submissions. 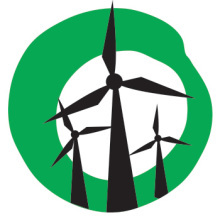 Yes2Renewables is calling on our supporters to make a submission and show support for community renewables projects such as community wind farms. In our submission, we’re calling on the government to address these barriers by taking three key steps. Community led project or community/developer partnership. Local shareholding inclusive of community investment (minimum 20%), but also including local council, water authority etc (> 50% total). Project scale >100kW – 30MW. Local control and decision-making power related to the project. Local distribution of the social and economic benefits generated through the project. Project is appropriately scaled to local environment and/or community. Project harnesses the skills and capital of the local community. The current rating formula was set in the 2004 Victorian Electricity Act at a time when there were only coal fired power plants and large wind farms built in the state. As it currently stands, electricity generators do not pay rates, but instead enter into an agreement with the Local Government to make a payment in lieu of rates (PiLoR). Under this agreement, a default payment formula of $40,000 + $900/MW (capacity) CPI escalated is set. This is an enormous fee for small scale energy generators, and as it is the same fee paid by large scale generators, it effectively prices them out of the market. We suggest that the government waive the $40,000 fee for community projects. Doing this will remove a barrier that can create huge disparity for small scale projects. We want to see community scale projects of all renewable technologies able to flourish in Victoria. As Premier, Ted Baillieu enacted some of the world’s harshest anti-wind farm laws. Blanket ban zones were arbitrarily set across the state, the likes of which do not apply to other sources of energy generation. Australia’s flagship community energy project – Hepburn Wind would not have been able to be built under the existing planning regulations. Inspired by Hepburn Wind, many other communities across Victoria want the opportunity to build community wind projects. In the Macedon Ranges, the Macedon Ranges Sustainability Group has been planning a community wind project for over six years, however this has been sidelined by the blanket ban zones. Removing the blanket bans in the Yarra Valley, Dandenong Ranges, Bellarine and Mornington peninsulas, McHarg Ranges and the Macedon Ranges would allow communities in those areas to get community wind projects off the ground. We would like to see these issues addressed so that community projects across Victoria can flourish, and we want you to have your say! The government is currently accepting submissions on the discussion paper. Send one today and show your support for community energy projects across Victoria. The discussion paper is now open for submissions, and will close on November 28. Email opposition leader Matthew Guy to call on the Victorian Liberal party to back the VRET. The transition to renewables ought to be a above party politics.